One of the most vocal critics of the current ruling administration at Scottish Borders Council is due to chair its scrutiny committee, writes Andrew Keddie. At a meeting of Conservative opposition councillors on Monday, Gavin Logan, a retired farmer who lives in Clovenfords, was the unanimous choice of his group to lead the watchdog, which is being revived two years after it was scrapped. Although six of the nine members of scrutiny will come from the SNP/Independent/Lib Dem administration, it has already been agreed that its chair should be a member of the opposition and Councillor Logan’s appointment will be confirmed at today’s full council meeting. The scrutiny panel is being revived as part of a revamp of decision-making which comes into force on January 1. Scrutiny will monitor the performance of the council, undertake value-for-money investigations and have the power to call-in decisions of the 16-strong executive, which will replace the service committees for education, social work and roads. 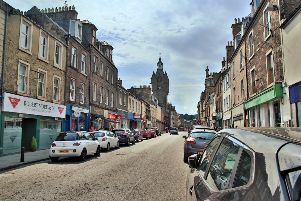 A former licensing board chair and a member of the previous scrutiny-set up, Mr Logan, who has represented Tweeddale East since 2007, has publicly taken issue with recent council decisions, including the removal of garden waste collections and the refusal to block access to pay day loan companies from computers in council-owned buildings. Meanwhile, the council will be asked next month to approve a new set of procedures governing the hearing of public deputations at Newtown. Its brief will be to consider “issues relating to matters within the responsibility of the council or the general wellbeing of residents of the Scottish Borders”.